Rodent infestation is a common problem in most Australian households. Mice and rats are not only unsightly and annoying, but they can cause serious health risks to everyone in your home. 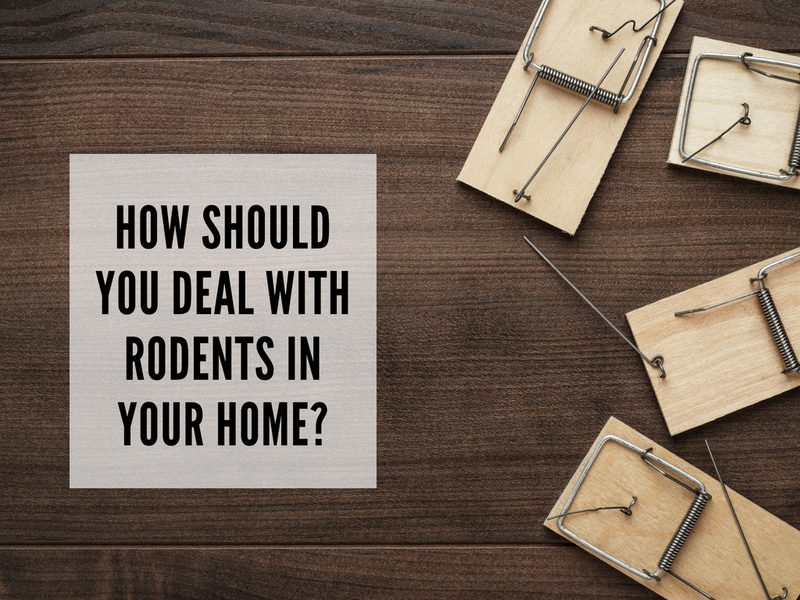 Whether you already have rodents invading your home or you want to prevent them from doing so, knowing what to do can give you some peace of mind. Because they live in the most unhygienic places, mice and rats can become carriers of disease-causing bacteria, which they can spread when they enter houses. Once inside your home, they can deposit germs, infected faeces and urine from sewers and drains into your food, clothes, pets, and furniture. Rodents can infect humans directly by biting them. Some diseases caused by rodents are leptospirosis, salmonellosis and rat-bite fever. Aside from posing great risk to our health, these pests can also cause other problems such as contaminating stored food and grains, damaging your property, causing fires by gnawing on your electrical wiring, or leaks if they chew on plastic water pipes. How should you deal with rodents in your home? There are two ways to keep rats and mice from invading your home. One is by getting rid of them if there already is an infestation. The other one is to prevent them from getting into your abode. As much as we hate the little vermin, most homeowners are still uncomfortable with killing another living creature. The group RSPCA Australia suggests some possible humane ways of getting rid of rodents. Use live traps. Rather than killing them, live traps keep the pest contained until you release them somewhere else. You should check the trap every morning to make sure that they are not left in it to die. Snap traps. A well-made snap trap delivers a quick death to the mouse or rat using its spring-powered mechanism. Rubber strangulation system. When triggered, the stretched rubber wraps around the neck of the rodent and strangles it, causing death within a few minutes. Mouse-deterrent spray. Unlike most rodenticides that cause slow and painful death to rodents, this is a chemical-free concoction. Made of hot peppers, it can irritate mice and rats, forcing them to find a different place to invade. If you really hate rodents, you don’t want them to set their dirty paws on your property. Here are ways to prevent them from getting inside your house. Cut their food supply. Exposed food can attract rodents. Stop feeding them by making sure that you store all your food in glass, metal or plastic containers with tight lids. Do not leave spills and crumbs on the table, kitchen, or other places where you eat. Keep house clean and tidy. Do not fill your house with unnecessary items and unused clothing, as these could be the perfect nesting grounds for rodents. Dispose your rubbish properly and regularly. Deny entry. Cover any possible access points for rodents by patching up cracks and holes and using steel wool and netting. Peppermint oil. Mice can’t stand the smell of peppermint. You can place a cotton ball soaked in peppermint oil in possible entry points to keep them away. If you suspect that you have a rodent infestation at your home, it would be best to call your local pest control specialist to deal with the problem. They are more knowledgeable about which methods would be most effective for you, and they know how to prevent rodents from coming back. They are also equipped with the appropriate materials and tools to get rid of them, some of which can only be used by pest control professionals. For any pest infestation problem in Newcastle, Maitland, or Hunter Valley, contact Local Pest Control to get quality service that is worth your every cent.